As a New Year is with us, maybe one of your main plans is to make a move to Brisbane, one of Australia’s progressive cities. How do you make this move a successful one? Well finding a good quality Brisbane Removalists is a BIG start. You may have heard some horror moving stories from your friends, relatives or family members about their very own experiences. Make sure your Interstate Removals firm is credible and can offer references to avoid this. First, gather as much referrals from friends, family members or even colleagues at work who have been in the same scenario as yours. Ask them what made their relocation easy. Is there a professional mover company behind the entire success? Get their feedbacks among the removalists firms they have acquired services that will later benefit you in the end. If you already have a particular Brisbane removalists firm, then, go over the internet and search its website. Most trusted removalists have websites and you can view their clients’ feedbacks posted on their board and other personal testimonials. Their views will be your guide in coming up with the right decision as to which Brisbane removalists firm you will hire. Search over the internet for 2-3 Removalists firms if you don’t have any in particular for consideration. Analyze the scope of each removalist’s moving packages. Make your own checklist of the possible services you want to avail with them. A lot of certified removalists know their way around the city of your choice, so they will surely guarantee you that they have the means and expertise to deliver all your treasured belongings to your new home in the quickest manner without any struggle. Ask for quotes to be sure there are no hidden charges. Request your chose Brisbane removalists firm to give you a consultation wherein you can get a view of all the services included in your chosen relocation package. Don’t hesitate to ask for explanations of charges included that are not clear to you before finally committing yourself to any agreement. Lastly, a good Brisbane removalists company has insurance coverage to any of their relocation packages. Consider all these pointers for you might come across a removalist company offering cheaper services but don’t have insurance attached to their packages. This issue could be quite compelling especially if you are in a hurry to get your moving plans on time. So, rely on a Brisbane removalists firm which has a good track of record. Please feel free to contact us if you wish to discuss or have any questions. 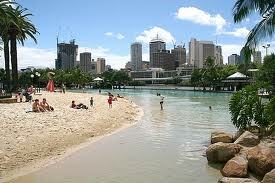 Yes, Interstate Removals are servicing Brisbane to all over Australia. Please feel free to contact us on 1300 299 969 if you need help moving interstate.